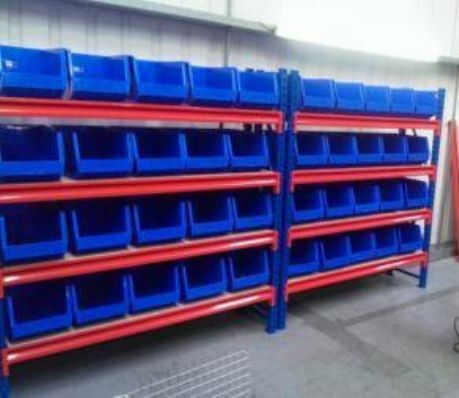 Strong Industrial Shelving products save space, save time and cut costs, simply because our interdependent product range do the job better than others. 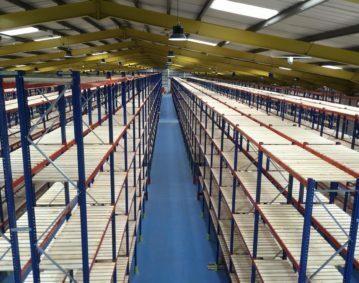 From a simple run of tough steel shelving to a complex mezzanine storage area, or something in between, you’ll find it in the 2h Storage range. 2h Shelving is a smart new, come in fully galvanised options, versatile and expandable slot-together metal shelving system with flexibility and adjustability designed-in. Plastic Bins complement Industrial Shelving, wherever small parts need to be kept in an orderly, efficient and accessible way. With Maxi Bins, you can store literally thousands of items in a single bay of shelving, knowing you’re not wasting a inch of space! To discuss your Strong Industrial Shelving requirements with the shelving experts call 2h Storage Solutions today.